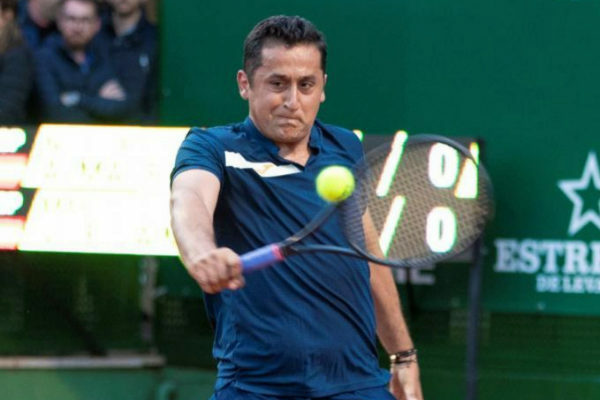 Nico Almagro: "I was like my game: direct and aggressive"
With the withdrawal of Nicolás Almagro , one of the last specialists in clay is gone. Winner of 13 titles, all on clay, and former number nine in the world, Murcia hangs his racket at 33 years to dedicate himself to direct the tennis club of La Manga. Married and the father of a two-year-old boy, "Nico Junior," he is cordial and serene in conversation, tempered by a character that played some tricks on him. Next week he will receive a tribute at the Conde de Godó, where he played against Nadal the final of 2013. What is left of his 16-year career? To highlight something would be to underestimate the rest. I have experienced everything with great intensity and the way I thought I had to live. You always remember with special affection the first title and also you have the difficult moments, like when I had to get away from my first coach, Antonio González Palencia, due to his illness. The bad times have made me learn and improve. They had some problems. Have you resumed your relationship with him? I was with him for 14 years, from a very young age. He was the one who educated me, helped me think and see things. He bet on me when nobody trusted me. I went to Barcelona and we distanced ourselves. Luckily, in recent days we have been able to recover friendship and we have said the things we had to say, something healthy for both of us. The first samples of his talent came in that first round of Roland Garros, in 2004, against Gustavo Kuerten, who was already three times champion of the tournament. These days I remembered that game a lot. He came to pass the previous one and finish cramped before Rocco Caramusi. When Antonio asked me who I would like to play with, I told him that with Kuerten. It was my debut in a final draw of a Grand Slam tournament. The track was packed, with lots of Brazilian flags. If I remember correctly, I took out for the game, 5-4 up in the fifth set. There it was demonstrated the veteranity of the chosen ones, of the great players, to give the return to that type of situations. I lost 7-5, 7-6 (2), 1-6, 3-6 and 7-5. His 13 titles were on land. If at any time I made myself respected it was because of my tennis on clay. He was very aggressive. He could compete with any player. Nadal crossed in the quarterfinals of Roland Garros. I had the bad luck of having him in front of me, but, as I always say, thinking about what could have been and was not worth it either. I have given one hundred percent of me on all surfaces and in some I have done better than in others. Maybe his career could have given more than itself, given his talent. In the end, I proceeded in the way that I considered correct to get the best out of me and enjoyed the greatest excitement of every moment of what was happening to me. Did his temperament betray him? He could have harmed me once, but I was able to learn. I tried not to make the same mistakes many times in a row because I knew it was not good for me. But I was cheerful, sincere. I said many things that I should have kept quiet. But I am like that, like my game, direct, aggressive. He could not like everyone. Those who liked it liked it a lot. And those who do not, practically hated me. Among other things, we will remember him for his backhand in one hand. It is a natural blow, that I began to emulate my brother Baltasar. Antonio made me perfect it and from there all the coaches I've had tried to make the most of that blow. My rivals sometimes did not expect the change upside down with such power. And also for that second serve so harmful on land. It was the fruit of many hours of work when I was little. They taught me that service was vital in the game. In extreme situations I had a bit more tranquility. With José Perlas he managed to get into the top nine in the world. Yes, it was in 2011, when I won Davydenko in the knockout round of the Conde de Godó and lost with David Ferrer in the semifinals. José made me professionalize my life a lot more. It made me believe more in my game and realize that I could compete against the best. Would you have liked to expand your career longer? Yes, but with four knee operations in a year I had to listen to my body and know when it was time to quit. To this day, I do not regret anything. He is the first to leave a generation of Spanish tennis players that is ending. Hopefully we do not miss much. We were the fruit of the seed that was planted before from Santana to the Sánchez Vicario, Ferrero, Moyà or Corretja. I hope we serve as a stimulus for those who come and be part of what our tennis will be in the future.